From the Niagara Falls Gazette, Monday, Oct. 26, 1970: Middleport â€• Harold B. Barnum, 73, of 35 Main St., died Sunday (Oct 25, 1970) at Roswell Memorial Institute, Buffalo, following a long illness. Born Sept. 10, 1897, at Waterport, N.Y. the son of Arah and Kitty (Blake) Barnum, he had owned and operated a barbershop here for the last four years. 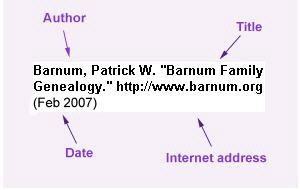 He is survived by his wife, Genieve; a son, Harold R. Barnum of Albion; a daughter, Mrs. Eugene Holahan of Middleport; a brother, Clifford Barnum of Barker; his stepmother, Mrs. Irah [sic] Barnum of Lyndonville; two stepsons, Lawrence Gray of Medina and Gerald R. Gray of Knowlesville and a stepdaughter, Mrs. Arnold Caleb of Knowlesville; seven grandchildren and four great grandchildren. Friends may call Tuesday from 2 to 4 p.m. and 7 to 9 p.m. at the Wallace and Heath Funeral Home, Inc., where the funeral services will be held Wednesday at 9:30 a.m. and at 10 a.m. at St. Stephen's Roman Catholic Church, Middleport, with the Rev. Daniel Duggan officiating. Burial will be in St. Mary's Cemetery, Medina.